Need a reminder of this tip? Print the poster. 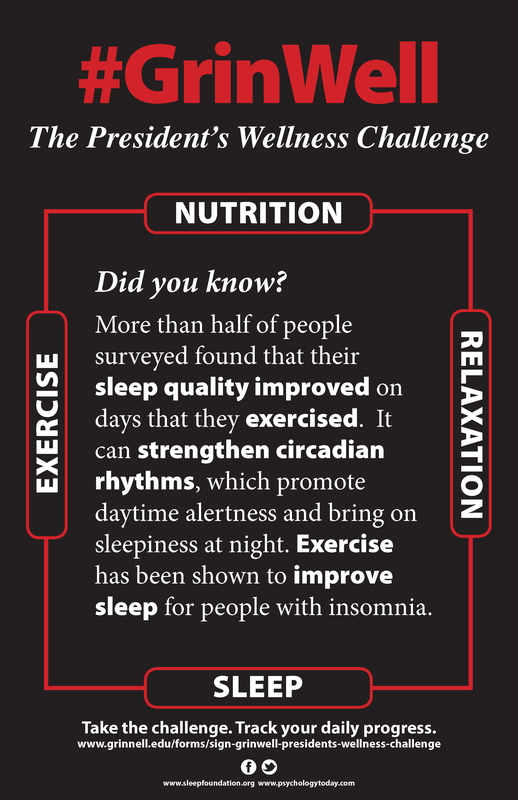 More than half of people surveyed found that their sleep quality improved on days that they exercised. It can strengthen circadian rhythms, which promote daytime alertness and bring on sleepiness at night. Exercise has been shown to improve sleep for people with insomnia. #GrinWell — Take the challenge. Track your daily progress.